South Carolina Student Loan (SCSL) is a nonprofit loan provider selected by the state of South Carolina to help college students find educational financing. The state has also designated SCSL as the originator and servicer of its student loans for teachers, and SCSL offers a private loan product of its own, the Palmetto Assistance Loan, for other students. If you’re a South Carolina student with a current Palmetto Assistance Loan from that company, you may manage your loan account online by using the Current Borrowers page. You can track your statements, make new payments, find tax information, and use paperless billing. If you also pay by direct debit from a checking account, your rate will be lowered by 0.25%. To create a new user account, you will need to have a loan application on file and supply your Social Security Number and date of birth. 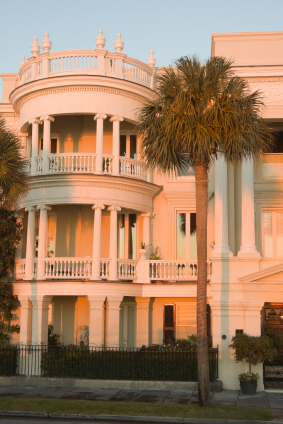 The Palmetto Assistance Loan (PAL) is a fixed-rate student loan made to students rather than to parents. Interestingly, the program also requires any borrower under 24 to have a cosigner with good credit, and prefers that cosigner to be either a parent or a guardian. Cosigners must be 24 or over, be a U. S. citizen, national, or permanent resident, and be either employed or retired. You must also be a U. S. citizen, national, or permanent resident. Other features of the PAL are an origination fee of as little as one percent, no application fee, and a single monthly statement for all your SCSL student loans. The minimum amount you can borrow is $2,000, and the maximum is your cost of attendance minus your other financial aid. Your total PAL indebtedness is capped at $100,000. As of August 24, 2012, the standard interest rate on the PAL was 6.75% fixed, meaning that rate applies throughout the life of the loan, if certain conditions are met. To receive the 6.75% rate, you must pay the interest on your loan while enrolled in school, then make full payments (meaning principal plus interest) thereafter. If you elect to pay no interest while you are still in school at least half-time, you will still have to make a $25 monthly payment (the minimum amount), and your interest rate will be 8.75%. Your choice of how to pay must be made when you apply. Interest on a PAL starts to accrue the moment the loan proceeds are paid out, and continues throughout the loan’s term. If you do not pay interest while you’re enrolled or in forbearance, unpaid interest will be added to your loan balance at every quarter and you will then have to pay interest on that additional amount. Your payments (whether the minimum or the interest amount) will begin within 60 days of the PAL’s disbursement. You will have to start repaying principal plus interest within 60 days of dropping below half-time enrollment, which is called full payment status. Once a loan enters full payment status, that never changes whether or not you increase your hours at school, so be very careful in making any decision to lose your half-time enrollment. If the amount of your PAL is under $17,500, the loan term will be 10 years, and otherwise the term will be 15 years. Meet minimum academic standards by ranking in the top 40% of your high school graduating class and scoring at least the South Carolina average on your SAT or ACT. There are additional requirements for the Career Changers and PACE Loans, and the three loans have annual borrowing limits ranging from $2,500 to $15,000. Total limits are between $5,000 and $60,000. Forgiveness for your loan comes through teaching in a South Carolina public school in a specified subject and/or geographic area which have been designated as critical needs for the state. For each year of service, you can earn forgiveness of 20% of the loan (or $3,000, whichever is more), and if your service fulfills both the subject and area needs, your forgiveness rate is 33 1/3% or $5,000. If you’re careful in calculating your college costs versus the length of service necessary to achieve total forgiveness, you can secure advantageous financing arrangements for your teacher’s education.